Do you have your eye on a property in Tenerife this year? If so, whether you intend to buy a 3-bedroom villa in El Madronal for €650,000, or a 1-bedroom apartment in Golf Del Sur for €65,000, you’ll want the best exchange rate. After all, if sterling is flying high versus the common currency, you’ll receive more euros in your Spanish bank account, when you transfer money to buy a Tenerife property! With this in mind, how can you get the best exchange rate in 2016, especially taking into account the UK’s recent vote for Brexit? Well, let’s see how we can maximise your euro total. First of all, it’s important to note that the exchange rate could be more volatile in the months to come, because of the UK’s decision to leave the EU. Right now, we don’t know if the UK will leave the EU but stay in the Single Market, or if Britain will abandon Europe entirely, and this could quickly send sterling up or down. Fortunately however, this needn’t affect you when you buy your property in Tenerife. To protect yourself against exchange rate volatility in the months to come, you can set up what’s called a “forward contract”. This locks in your exchange rate at today’s better level. To elaborate, a “forward contract” is when you fix the exchange rate where it’s at, regardless of what happens to sterling further down the line. Hence, it’s the ideal way to protect yourself against the risk that the pound weakens, in light of Brexit. 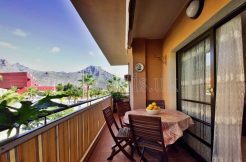 Moreover, because you know exactly the exchange rate you’re getting ahead of time, you can precisely fix your costs for when you buy your Tenerife property. In brief, this is the ideal way to give you security and peace of mind for your Tenerife property purchase, at a time when the UK is experiencing political and economic upheaval. You’re safe! To set up a forward contract, just tell your currency dealer that that’s what you’d like to do. You’ll pay down 10% of the total you wish to transfer, and can then transfer your money at any time you like, at the exchange rate you’ve locked in, any time in the next 2 years. There are no fees or commissions for a forward contract. In brief, it makes buying a Tenerife property all the more secure! Aside from a forward contract, what you can also do to get the best exchange rate is transfer money with a specialist currency broker instead of your bank. This is because a foreign exchange dealer will get you an exchange rate up to 5% better. Hence, whether you’ve got your eye on a 1-bedroom apartment in Los Cristianos for €143,000, or shares in a Faro Lounge Club for €750,000, this is the ideal way to maximise your euro total. A currency dealer will get you a better exchange rate than your bank, because they only deal with currency, meaning they can offer a more specialised service. 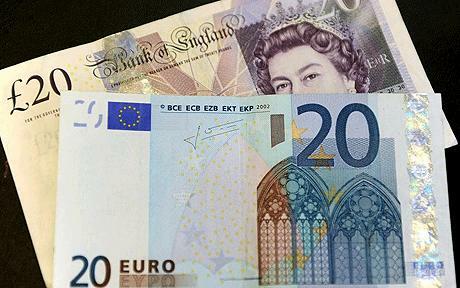 With all this in in mind, you’re in a brilliant position to get the most euros when you buy a property in Tenerife!